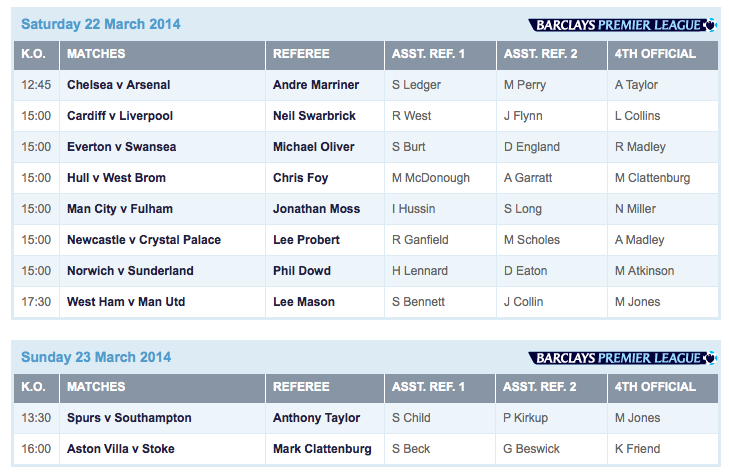 Here are the referees for this weekend’s Premier League fixtures, March 22 and 23. Chelsea v. Arsenal is an absolutely huge game for the title race, and it falls to Andre Marriner (above). I like Marriner, though he does have the most red cards among Premiership referees so far this year (six). His assistant referee is Scott Ledger, which makes me nervous; Ledger made a poor call to overrule Marriner in Tottenham’s match with Manchester City earlier this year. It was proven that Ledger was wrong and Danny Rose’s red card was overturned, but the damage was done. Hopefully things will go smoothly for this team on Saturday. Here are the referees for Tuesday and Wednesday, March 25 and 26. Now, granted, he officiates the big Fiorentina v. Juventus match in Europa League on Thursday, March 20. But Elite-level referees only require two rest days between matches, so he could take Sunday, Tuesday or Wednesday. 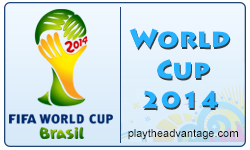 Pretty much every top-flight referee has a game this week, so Webb’s absence is noticeable. Hi Can you please tell me what happened to the young lady Referee in the Premier League. I haven’t seen her in a while. Sian Massey. 🙂 Sian’s an AR (and a good one I think) but she isn’t a Prem regular. When she works, she’s almost always with Howard Webb. In fact, I personally haven’t seen her with anyone else (though she may have been). I saw her a few weeks ago, so she’s definitely still around. I’ll keep an eye out.